For several years a new 450 MW unit has been planned at the Tuzla coal power plant in Bosnia and Herzegovina, owned and operated by the state-owned Elektroprivreda BiH. 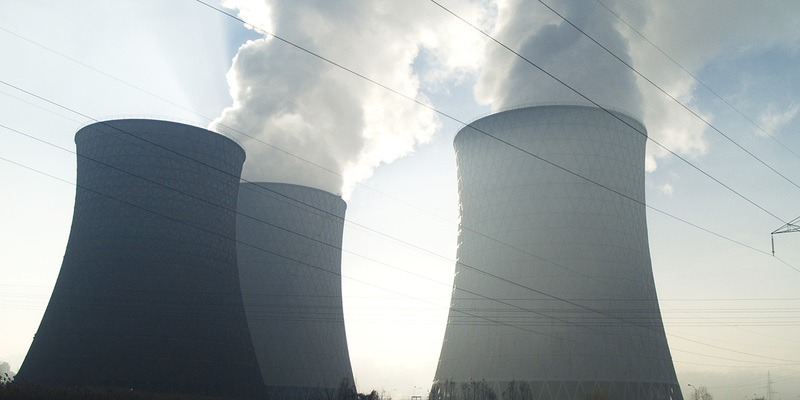 Although it is usually cited as a replacement for existing units, Elektroprivreda BiH plans to close only the existing 100 MW unit 3 before 2027, according to its National Emissions Reduction Plan, while units 4, 5 and 6 would continue to operate. Thus Tuzla 7 would result in additional coal capacity compared to the current situation. An Engineering, Procurement and Construction (EPC) contract worth EUR 785 million was signed with China Gezhouba Group Co. on 30 August 2014, but it was later admitted that the plant would not be economically feasible. An annex to the contract signed on 04.05.2016 is reported to bring the cost down to EUR 722 million. However former EPBIH Director Amer Jerlagić in 2016 stated that neither the Banovići nor the Tuzla 7 plants appear feasible given the low prices on the European electricity wholesale market. This opinion has also been confirmed by the current Director of EP BIH, Bajazit Jašarević, who admitted that both the Tuzla 7 and Banovići plants are currently unfeasible. What technical compromises have been made in order to bring down the cost? What future electricity prices are being assumed? What coal price is being assumed? Have future costs of CO2 emissions been included in the calculations? Is the plant feasible if the planned 350 MW Banovići plant, less than 30 km away, is also built? Given that the plant is promoted by a state-owned company, if it ends up as a stranded asset, it will be the public that pays. Bosnia-Herzegovina, as a signatory to the Energy Community Treaty, is obliged to follow EU legislation on state aid. This regulates the ways that state resources can be used to support undertakings, in order to avoid distorting competition and cross-border trade. The Federation of BIH plans to provide loan guarantees for Tuzla 7. As well as the financial difficulties in doing this, sovereign or sub-sovereign loan guarantees have to comply with certain conditions, such as not exceeding 80% of the value of the loan and being paid for by the project promoter at market rates. However no conditions have been revealed for the Tuzla 7 guarantee. The coal mining sector in Bosnia-Herzegovina is also in deep economic trouble. The Federation of BIH’s mines suffer from the lowest labour productivity in southeast Europe and have for years received subsidies for social welfare payment obligations towards the state. In general, it is not allowed to provide state aid for operating coal mines, only for closure. Closure is in case inevitable in the medium term due to the need to phase out coal to tackle climate change and the increasingly poor economics of coal. No BiH politician has had the courage to face up to this political hot potato so far. Instead of planning for a managed and fair transition, they make misleading promises about safeguarding 3500 workplaces in the mines by building Tuzla 7, which is impossible. 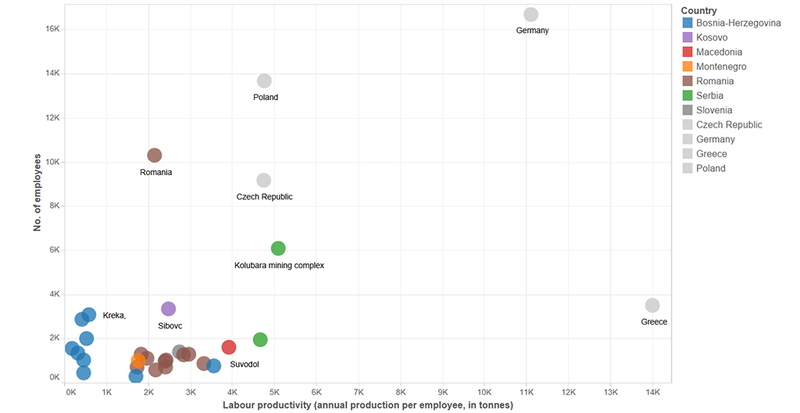 Our interactive infographic shows how labour productivity in mines across the Balkan region compare to those of other countries. Hardly any coal operations in the Balkans are economically viable. As a result many coal workers, especially in the mines, are set to lose their jobs, even if the plans for countless new power plants materialise. After Tuzla 7’s initial environmental permit expired in November 2015, a new one was issued in July 2016. As it contained numerous weaknesses including a failure to include the ash dump in the project, NGO Ekotim filed a court case challenging the permit in September 2016, which is still pending. 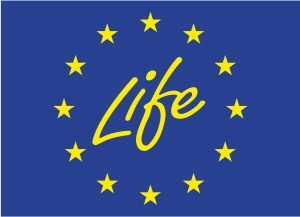 In 2017 the EU updated its pollution control rules for large industrial plants through the so-called the LCP BREF. Tuzla 7 has not been designed in line with these standards, making it out of date before it is even built. The Tuzla power plant takes cooling water from the Modrac Reservoir, the same source as much of the drinking water for Tuzla. This reservoir is fed mainly by the Turija and Spreča rivers and already suffers from pollution caused by coal production and separation. If the Banovici coal power plant is built – another project just a few kilometers away from Tuzla – it will directly compete with the Modrac Lake for water in drier periods. The environmental permit for Tuzla 7 is incomplete as it does not cover the planned ash landfill at Šićki Brod. Article 71 of the Federation’s Law on Environmental Protection states that an environmental permit must include measures for managing waste produced by the facility in question. In addition, using the Šićki Brod site as an ash landfill would contravene the Tuzla Canton and Lukavac and Tuzla municipality spatial plans, and is opposed by the Lukavac municipality council and local communities. In April 2016 they presented a petition with 2100 signatures against the site to the Ministry of Environment and Tourism. In November 2013, the Center for Ecology and Energy from Tuzla launched a report on the health impacts of existing and planned coal thermal power plants in the Tuzla area. Using the WHO methodology, the study found that in 2013 in Tuzla existing power plants will have caused the loss of 4900 years of life, 131,000 lost working days and more than 170 hospitalisations due to cardiac and respiratory diseases. Although the Tuzla coal plant is the largest source of pollution in the area, it should be taken into account that this situation is aggravated further by the cumulative impacts with other pollution sources. An AlJazeera report on the situation of people affected by the coal infrastructure in Tuzla and Banovici. The existing units at Tuzla are not compliant with the Large Combustion Plants Directive or Industrial Emissions Directive and need to be modernised in line with Bosnia-Herzegovina’s National Emissions Reduction Plan. The ash dumps at Tuzla also brings hazards for the local population from dust blowing on windy days and water pollution, as well as soil pollution through food cultivated on some of the closed sections and sold on nearby markets. At the Divkovići dump, a pipe designed to divert dirty water to a treatment plant for cleaning is not used and polluted water enters local watercourses. These issues are not only a legacy of past practices but a reflection of current ones, and until these are halted and the area remediated, new pollution sources should not be constructed in the area. The Federal Bosnia-Herzegovina House of Peoples voted today in favour of a state guarantee for a EUR 614 million loan from China Eximbank to build the Tuzla 7 coal plant. The Energy Community Secretariat has today announced that it is officially opening a dispute settlement procedure on the planned Federal guarantee for a EUR 614 loan from the China Eximbank to build the Tuzla 7 coal power plant in Bosnia-Herzegovina. The procedure can potentially lead to delays in the EU accession process and temporary suspension of financing by EU banks. The Bosnia-Herzegovina Federal House of Representatives yesterday approved an illegal loan guarantee for a EUR 614 million China Exim Bank loan for the Tuzla 7 coal power plant, in blunt contempt of its commitment to abide by EU law on subsidies under the Energy Community Treaty. Independent dust monitoring in Balkan countries has found worrying levels of particulate matter, dust so small it enters deep into our lungs and blood streams causing irreversible damage and respiratory and cardiovascular diseases.